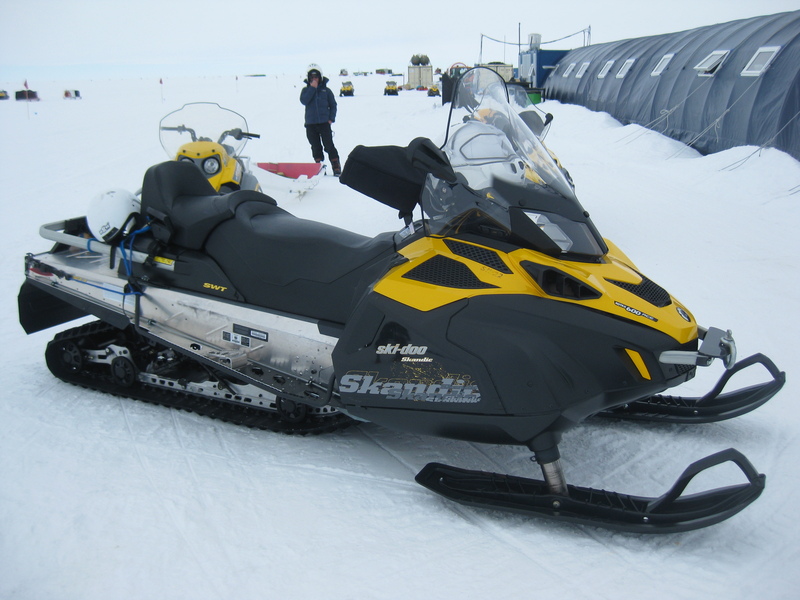 south pole – William Gargiullo, adepte de course à pied. 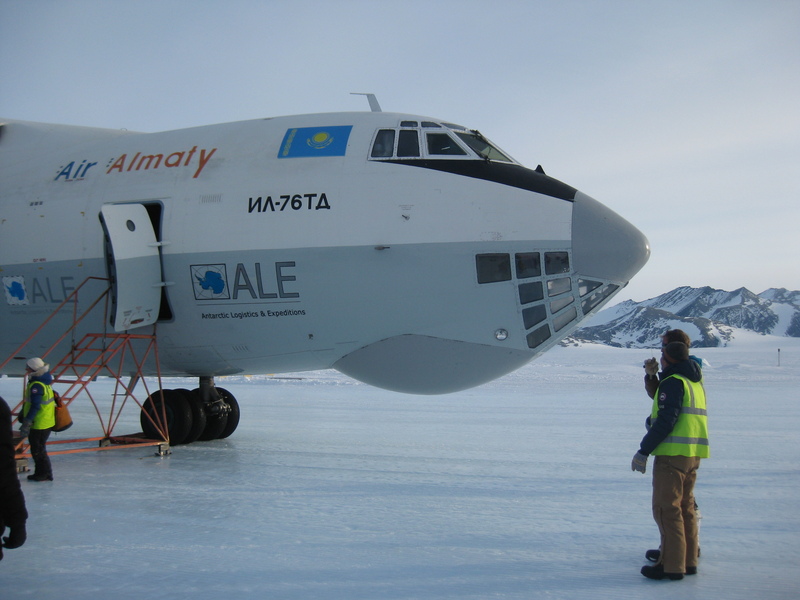 William just arrived back in Switzerland and was kind enough to answer a couple of questions on the South Pole 100k. I hope that you will like this interview and stay connected on Facebook as well as the website for new articles coming very soon! 1) How do you feel after these 100k? How is your recovery going? Quite well, my muscles aren’t sore which is normal since the race was on frozen snow and not on asphalt (like for the 100k in Bienne, Switzerland). Concerning my recovery, it will last two months and then I will have three months to prepare the Zermatt marathon taking place at the beginning of July 2016. 2) Which moment during the race was it harder mentally and physically? To be honest, mentally, I did not have any problem. I was well prepared. Physically, the last 15k were hard because my legs refused to run and I had to walk at 6km/h at some moments. 3) What did you think of when you realized you were second? How did you handle the rest of the race from when you past two of the three first runners? Right away, I knew I had to keep my second place. I thought about the race I did on the Great Wall of China, when I was second after three days before getting lost and finishing fifth. From the 20th kilometer, I was informed on how far I was from the second American (David) who at that point was third. Thus, i was able to control my body. I have to be honest, the last 10k were hard because of the stress I had of David passing me. 4) If you could change something regarding to how you trained for the 100k, would you? Absolutely not. I am very happy of the way I trained both physically and mentally. 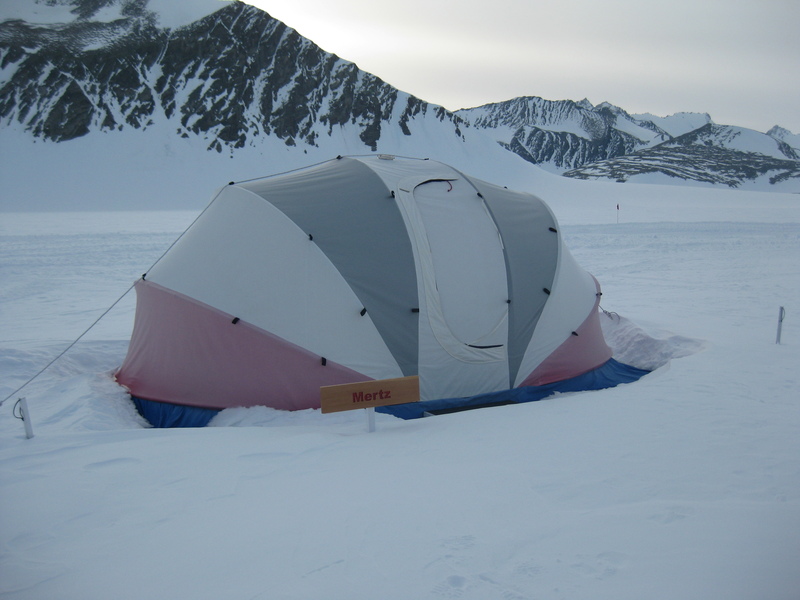 5) What about the experience of running 100k in the South Pole? How do you feel about it? 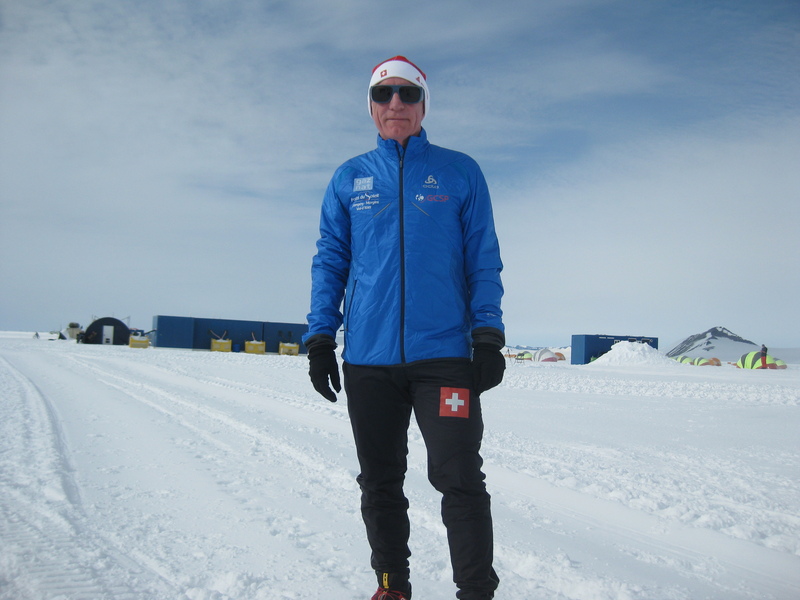 For me it was fantastic being able to run in the North Pole as well as the South Pole. How I feel about running the coldest 100k in the world can be summarized by the title of a movie: EXPERIENCE NEVER GETS OLD. Nobody expected a 61 years old runner to arrive second. I was not even an « outsider »! 6) Will you keep in touch with the other runners? Yes with some of them and surely with Griff (first at the 100k) with whom I had long conversations. He impressed me with his availability, his good mood and his modesty even if he is one of the rare runners to have finished the hardest race in the world taking place in the Death Valley (California) with 217k (non-stop) and more than 40 degrees. 7) What is your next race? 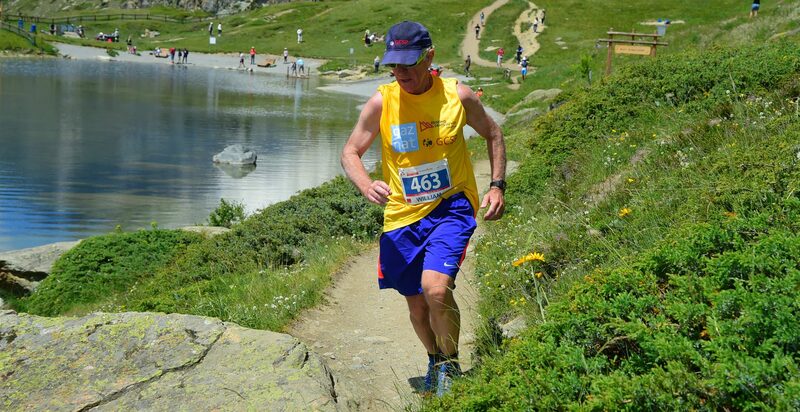 Like previously mentioned, it will be the Zermatt Marathon, in July and then the Jungfrau marathon in September. These are two marathons taking place in the mountains. The scenery is breath-taking. 8) And finally… A little word for your supporter? They were really active on social media! There’s no words to thank my family, my sponsors, supporters and my press officer! You all have been such a precious support to me both morally and mentally. A warm thank you for your trust and support. William just returned from the South Pole after running the 100k race. He is now in Punta Arenas and recovering from the race. But since the *World Marathon Challenge took place in Punta Arenas on the 22nd, William was asked to run with a marathon runner from Singapore, Phing Ong. William ran the last 15k with him to act as we say in french as a »lièvre » meaning he pushed the marathon runner till the end of the race by running with him. A lièvre is in fact an experimented runner who helps another runner by running with him for a certain amount of kilometers. Mostly, to push him and motivate him. Therefore, we are glad to say that William ran 115k in two days! *The World Marathon Challenge is a challenge representing 7 marathons, taking place on 7 continents and done in 7 days. First of all, thank you to everyone for supporting me these last days. It was an incredible support. Of course, my family was also of a great support and I thank them. I can’t forget to thank my sponsors which trusted me and believed in me. Thank you. The 100k race started at 10 AM (21/01/2016). The weather was great with a temperature of -10 degrees. The ground was frozen and it had snowed. I was able to confirm that my shoes were perfectly fine for the race. From the beginning 3 runners (2 Americans and 1 Ecuadorian) were quite in front of the rest of the runners (we were 8 running the 100k). Thanks to my humble experience, I knew that at least 2 of the 3 would not be able to continue the entire race at the same pace as the first runner, one who had participated in the famous 200k race taking place in the Death Valley, Badwater in the USA. After 10k I was third. My intuition was right. Between the 10th and 20th kilometer I got ahead of first of all, the second American and then the Ecuadorian. They had pushed too hard, a huge mistake! From the 20th kilometer I did not leave the second place with a 7,5 kilometer per hour pace. The biggest challenge for me was to stay in second place between the 20th kilometer and 100th, knowing two offensives were behind me going extremely fast. Despite some difficulties to hold the pace for the last 15k I was able to keep the second place to everyone’s surprise! 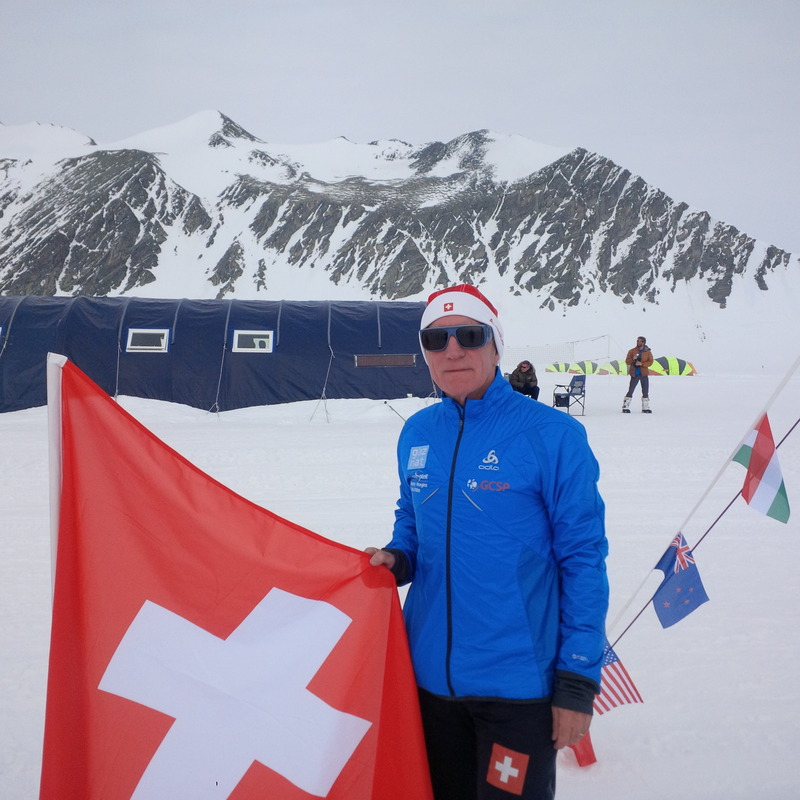 Note from the press secretary, Mélissa Gargiullo: William is the first Swiss to participate in the South Pole 100k. Cette semaine aucun entraînement n’a pu être mis sur pied. En effet, William a une angine et est sous antibiotiques. Un test d’endurance ( 3 heures de course ) est malgré tout prévu le dimanche 10 janvier 2016. Mélissa Gargiullo, attachée de presse. Nous voilà à 6 semaines des 100km du pôle Sud ! Depuis juillet, l’entraînement s’est déroulé dans les meilleures conditions. Aucune blessure n’a été déplorée et le programme a été respecté. Les dernières semaines seront consacrées à des entraînements d’endurance uniquement (sorties entre 2h30 et 3h). Quelques séances de musculation du haut du corps et des massages compléteront ces sorties. Il faut espérer de la neige afin de terminer les derniers tests d’équipement (identique à celui du Marathon du Pôle Nord). En ce qui concerne nos partenaires, nous en aurons en principe quatre. Nous dévoilerons leurs noms dès que les contrats seront signés. Au niveau logistique, tout est prêt. Je quitterai la Suisse pour Punta Arenas (Sud du Chili) via Santiago du Chili le 15 janvier 2016. A Punta Arenas, nous nous retrouverons tous pour nous rendre en avion au Pôle Sud. La course est prévue le 21 janvier 2016. Le retour pour la Suisse est planifié pour le 28 janvier 2016. Bien entendu, nous attendons avec impatience les noms (CV) des concurrents de ces 100km. Nous devrions recevoir la liste définitive dans les prochains jours.